Brennwald, M.S., Tomonaga, Y., Rüssel, R., & Kipfer, R. (2016). Recent advances in the on-site and remote-controlled analysis of dissolved (noble) gases in water bodies. Sano, Y., Kagoshima, T., Takahta, N., Ishida, A., Tomonaga, Y., Roulleau, E., Pinti, D.L., Fischer, T.P., Nishio, Y., & Tsunogai, U. (2016). Spatial and secular variations of helium and carbon isotopes at Ontake volcano, Japan. Tomonaga, Y., Obata, H., Takeda, S., Takahata, N., & Sano, Y. (2016). Spatial distribution of the He isotope signature in Tachibana Bay. Looking forward to a fruitful meeting! 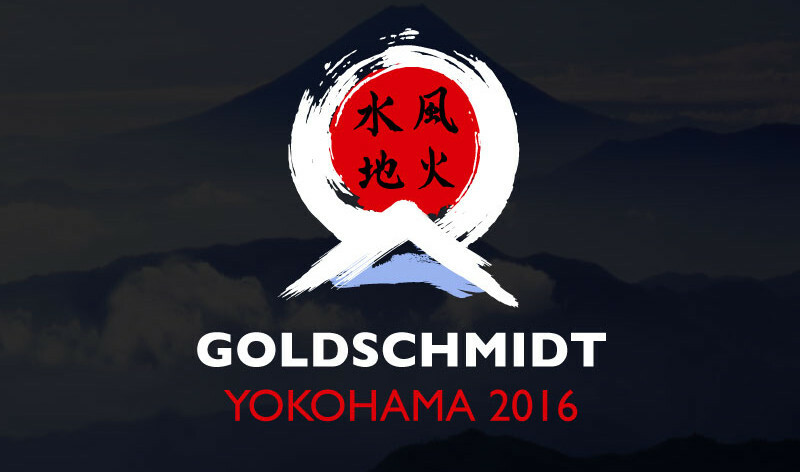 Abstracts for the Goldschmidt 2016 conference are now being accepted online (http://goldschmidt.info/2016/). We would like to draw your attention to Session 15h: Transient Tracers in Aquatic Systems: quo Vadis? being organized by Rolf Kipfer (Eawag), Yama Tomonaga (Eawag), Reika Yokochi (U Chicago) and Neil Sturchio (U Delaware). Session details: Transient trace volatiles, including radiogenic, nucleogenic, and cosmogenic noble gases, 3H, 14C, SF6, and CFCs, are commonly used to ‘date’ water masses, to reconstruct past climate and environmental conditions and to track the origins of terrestrial fluids. Due to the development of new experimental methods (e.g., online gas measurements in the field, laser-based 39Ar and 81Kr analysis) as well as the application of transient tracers to novel aquatic systems (ice, Precambrian waters, pore waters, fluid inclusions, or even blood) the field has recently developed and diverged in many different areas. This session invites classical applications as well as novel studies to sketch and highlight the future perspectives of the use of dissolved (transient) trace volatiles in aquatic systems (and other terrestrial fluids). We invite contributions about tracer applications of stable and radioactive gases in geochemical samples, as well as technical advances in sampling and analysis. This session also welcomes geochemical modeling approaches that incorporate such data. Keynote speakers: Andrew Love (Flinders University, Adelaide, Australia) and Zheng-Tian Lu (University of Science and Technology of China, Hefei, China).